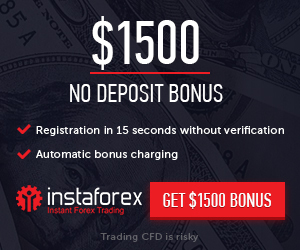 $50 No Deposit Bonus For Binary Options Special Offer. For $50 no deposit bonus, you have to send an email to nodeposit@eXbino.com, with your login details and your ID scan attached. $50 no deposit bonus special offer terms & conditions. 1. To be entitled to ”$50 no deposit bonus”, you have to send an email to nodeposit@eXbino.com, with your login details and your ID scan attached. The bonus will be added after your account manager contacts you via phone so please make sure that you have entered real phone number. 2. You have to be over 18 to be entitled to the bonus. 3. ”$50 no deposit bonus” applies to only one individual, address, family, household, email address, debit/credit card, IP address or shared computer (ex. at school, dormitory, college, workplace etc.) eXbino reserves the right to withdraw any participant from the promotion without cause. 4. ”$50 no deposit bonus” applies to all binary options offered by eXbino. 5. The maximum winnings amount is $ 200. If the amount is exceeded, a surplus will be deducted from the account. 6. The minimum winnings amount is $200. 7. To withdraw winnings, the bonus amount must be wagered 40 times. 8. For more information on the ”$50 no deposit bonus”, please go to general terms and conditions. 9. ”$50 no deposit bonus” closes at 23.59, on the 30th of June 2015. 10. The foregoing ”$50 no deposit bonus” terms and conditions are supplemental and operate in addition to eXbino general terms and conditions. 11. ”$50 no deposit bonus” special offer is meant for entertainment purposes only. 12. To withdraw any winning, the investor must verify their account first. 13. The bonus is meant only for users registered after 1st of March 2015 who used specified referral links entitled to participate in the foregoing promotion.